Hospice care and palliative care are similar resources when it comes to those living with life-threatening illness. Most people are somewhat familiar with hospice care but what may be confusing is that hospice provides palliative care. As an adjunct to more traditional care options, both hospice and palliative care are single programs that offer a combination of medications, daily care, equipment, bereavement and spiritual counseling, pain management, and symptom treatment. Where these two programs differ significantly is the care location, timing, and eligibility for services. Palliative care can be utilized at any time during a serious illness. It is care for any patient with a chronic illness who is experiencing a decreased quality of life due to the symptoms related to their illness or treatment. Hospice always provides palliative care but is targeted care for those patients who are no longer seeking a cure. Palliative care is specialized medical care for a patient with an acute illness to provide relief from the symptoms and stress of going through treatment. 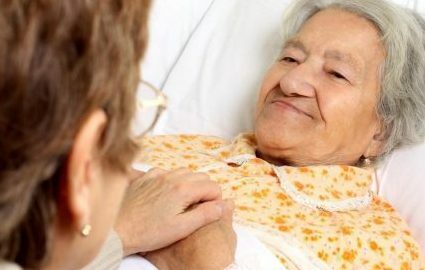 Palliative care is provided by a specially-trained team of doctors, nurses, and other specialists, such as social workers, chaplains, pharmacists, and nutritionists, who work in conjunction with the patient’s other doctors to provide an additional layer of support. This type of care is appropriate at any stage of a serious illness and can be provided along with curative treatment. The goal of palliative care is to improve the quality of life for the patient and their family members. The palliative care team work with patients who suffer from life-threatening illnesses such as cancer, heart failure, kidney disease, Alzheimer’s, Parkinson’s, ALS and much more. This team will assist the patient with pain management, depression, fatigue, nausea, loss of appetite, anxiety, and other symptoms that cause distress. The team hopes to help the patient regain their strength to be able to function in daily life, thus improving their quality of life. A palliative care team also gives you more control over your care. The team will help to explain a patient’s condition, care options, treatment choices, and assist them to navigate the complex medical system. They work with the patient to understand their personal goals, support patients and their families in difficult decision-making, and coordinate with their other doctors on a care plan. The team helps with emotional and spiritual support for the patient and their family members at a time when it’s truly needed. Where does palliative care take place? The field of palliative care has grown since the American Board of Medical Subspecialty recognized it as a subspecialty in 2006. Now palliative care is becoming more widely available outside of a hospital setting. Patients should discuss with their doctor and palliative care team if outpatient palliative care and palliative care at home is an option. Unfortunately, because of the confusion that patients with chronic disease have between these two care options, they rarely know when palliative care is appropriate for them. Some patients think palliative care is only an option for those with cancer undergoing chemotherapy. That is not the case. Patients with heart disease, lung disease, neurological disease, and dementia are also appropriate candidates for palliative care. Chronic illness can negatively impact a patient’s quality of life. The symptoms of the disease or the treatment side effects can cause severe pain, anxiety, depression, fatigue and nausea to name a few. These symptoms can leave one too fatigued to make a meal, walk outdoors, or interact with their loved ones. Palliative care considers the needs of the family as a whole and assists with improving everyone’s quality of life. If you are wondering if palliative care is right for your parent or loved one, consult with their physician. A common misunderstanding is that hospice is a place—it’s not, but rather a philosophy of care. The focus of hospice is to care, not cure. The goal of hospice care is to improve the quality of life for those who are near death. The intent is not to prolong life or prevent death but to treat the patient with dignity and comfort. Hospice services provide basic medical care with a focus on pain management and controlling a patient’s symptoms. Hospice care can not only bring great comfort for the person dying but relieve the suffering and stress of family members and caregivers. Hospice is directed at the entire family—it’s more than just treatment, medication management, or nursing care. Counseling and social work help are available when needed to assist the patient and their family with psychological, emotional, and spiritual issues. They can assist families with the difficult steps of life completion and issues of closure. Also, volunteers will sit with the patient for several hours to keep them company which allows primary caregivers to have a break or to keep up with their own personal responsibilities. Many times, the primary caregiver will put their life on hold when caring for a terminally ill parent or loved one. Hospice volunteers help you care for yourself and keep up your obligations. They can even support you with smaller tasks like meal preparation or running errands for a family. Historically, there have been buildings called hospices. But what we refer to today as “hospice care” is a type of care, not the facility. Often, this end-of-life care is in the patient’s home where they feel most comfortable and often want to live out their final months or days in a place that is familiar to them. If a patient is living in an assisted living, memory care or retirement community, hospice can come to them in their apartment. If the patient needs specific care that a primary caregiver is unable to provide or they need a particular type of care, then hospice can be delivered somewhere other than their home. Some hospices have a freestanding building, inpatient facilities, or designated rooms in a hospital, nursing home or long-term care home. Families typically have access to a patient 24-hours per day. Children are allowed to visit and within reason, so are pets. For more information and clarification contact the Health Services Director at your local Aegis Living community.